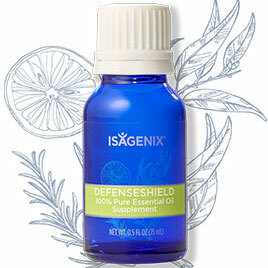 Isagenix Defense Shield is a proprietary blend of six powerful pure essential oils that emanates a warm, spicy, outdoor woodsy aroma and provides essential immune system support. When taken daily, Isagenix Defense Shield provides the body with natural antioxidant defenses, encourages healthy immune performance, supports optimal respiratory functions, shields against environmental hazards, and enhances healthy circulation. Isagenix Defense Shield is safe for topical, aromatic, and internal applications when used in accordance with manufacturer’s recommendations. Isagenix Defense Shield blended oil protects against seasonal coughs, colds, and flus, shields against environmental hazards, boosts the body’s immune and respiratory functions, and helps to disinfect household surfaces. Topical use of Isagenix Defense Shield safeguards against environmental free radicals, enhances healthy circulation, supports natural antioxidant functions, helps improve immune systems, increases healthy respiratory systems, and serves as an effective all-natural, non-toxic hand and surface cleaner. Aromatic use of Isagenix Defense Shield helps to clean the air of impurities, improves and invigorates mental capacities, and supports renewed energy. Internal use of Isagenix Defense Shield enhances immune systems, encourages healthy circulation, shields against seasonal and environmental threats, improves natural antioxidant performance, and reduces effects of coughs, colds, and flus. Topical Uses: (a) Undiluted – 1-3 drops of oil in the washing machine for fresh scented laundry, rub 1-2 drops of oil on palms as an effective hand cleaner, or rub a few drops of oil onto bed linens for relaxing sleep; (b) Diluted – mix one drop of oil with 10-12 drops of the carrier Isagenix Essence Coconut Application Oil prior to applying to the desired body area or household surface. Aromatic Uses: (a) Put 8-10 drops of oil in the Isagenix Essence Aromatic Cool Mist Diffuser and place in the desired area for renewed air freshness; (b) Inhale directly from bottle to open nasal passages, ease sinus congestion, and relieve headaches. Internal Uses: Add 4 ounces of liquid for every 1 drop of essential oil to be ingested. Due to the strength of pure essential oils and to avoid searing to a plastic surface, it is best to mix the blended essential oil in a glass or ceramic vessel. INGREDIENTS: Isagenix Defense Shield is a carefully formulated proprietary blend of essential oils that are effective for personal health and wellness care. The blended oils include: Cinnamon Bark, Clove, Eucalyptus, Frankincense, Lemon, and Rosemary. PRECAUTIONS: Prior to the first application of Isagenix Defense Shield, test for possible skin sensitivity by applying oil to a small patch of skin prior to use on large skin areas. Keep out of reach of pets, small children, and infants. If taking medications, if pregnant, or if nursing, always consult with your primary medical professional prior to any health care changes. Avoid direct contact in the inner ears, on sensitive skin areas, and in the eyes when using any pure strength blended or single essential oil. How Do I Buy the Isagenix Oil DefenseShield? 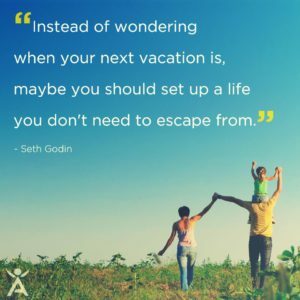 RECOMMENDED: Sign up and Save (CA$32.99 Signup) — Sign up to the Isagenix autoship program to become eligible to have access to the cheapest wholesale prices. At the end of the checkout process you’ll be asked to set up your next month’s order. Autoship can be cancelled at any time, even after you take advantage of the cheaper prices on your first order! There are no locked in contracts of any sort. Plus, this gives you the opportunity to participate in the Isagenix business (this is 100% optional). Full Retail (CA$43.99) — If you prefer not to sign up and take advantage of the lower pricing, you can purchase the products at full retail price. This is not recommended as you can cancel autoship at any time.